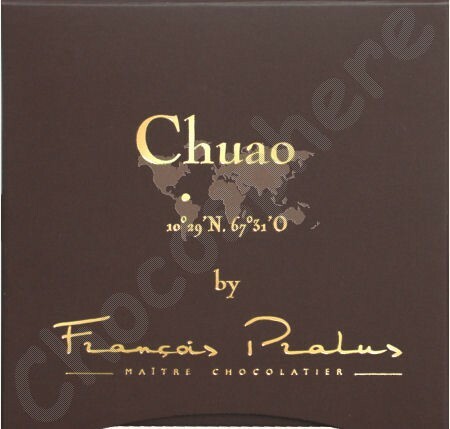 Pralus Chuao is a single origin bar made of some very rare and special cacao from Venezuela. François Pralus sought out this cacao from the village of Chuao because its isolation provides a unique purity in the Criollo and hybrid cacaos grown there. This fine cacao matched with French chocolate making skill results is a delicious dark chocolate with a nice long finish and a fine balance of bitterness, acidity, and earthy tones. 50g/1.476oz.